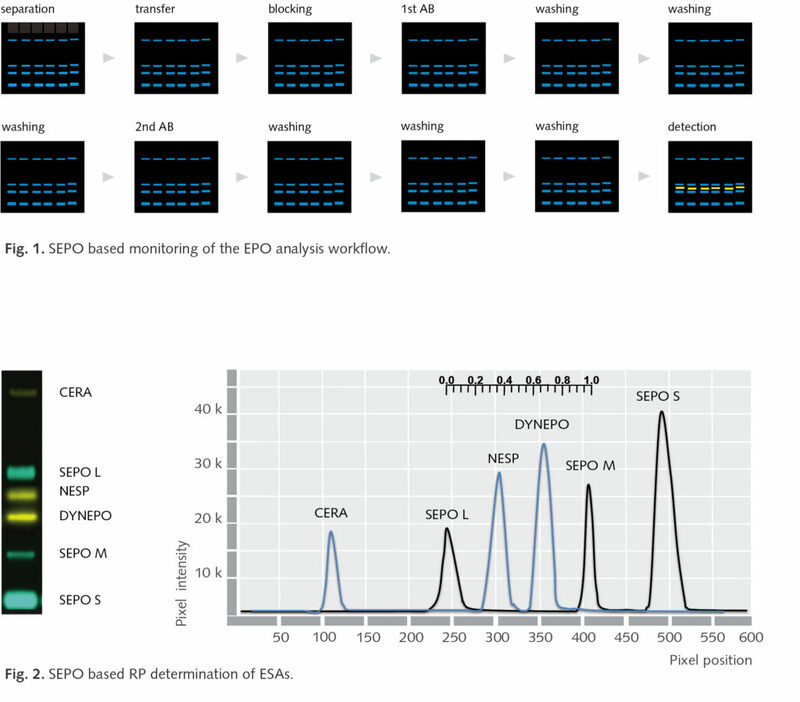 EPO doping analysis is based on immunochemical detection of endogenous erythropoeitin (EPO) and if applied, the detection of exogenous EPO or other erythropoeisis stimulating agents (ESAs). Gel and blotting kits are available for SAR-PAGE, SDS-PAGE and IEF. In addition we offer fluorescent EPO standards, gel electrophoresis units, large washing trays for the BlotCycler, and high sensitivity chemiluminescence + fluorescence imaging devices. and precise RP value determination.